I was a year younger than my son when I first got to know him. “Why can’t he come over to our house?” was the unreasonable question. Four year olds are, after all, unreasonable. And sometimes inconsolable. I was both. Still am, thirty years later. It’s good to keep that child stubbornly alive in you. It’s good to keep something pure and simple in you. And a lot of that comes with memory. The past never lets you rest in peace. And that was Junaid Jamshed’s tragic flaw. As a nation, we mourn the loss of an icon that represented an entire generation. But most of us have unfortunately not forgiven him. Some for the past he chose to walk away from; some for making that choice; some for the alternative he chose. There was something fireworkish about his life. And now that he’s gone, he has left behind a strange silence, the kind of emptiness that gets more pronounced when fireworks that are gasping for breath, are still engulfed by darkness. From Dil, Dil Pakistan to Dil Badal De – what a complete and calculated life. And to those of us who subscribe to the choice he unabashedly embraced – what a complete and calculated death. Out of the four Vital Signs, he always shone as the brightest. The looks, the voice, the charisma. His songs cannot be forgotten. And he was always a figure who aroused attention. I had seen him perform only once. Not as Vital Signs, but as Junaid Jamshed the solo artist. And then slowly and strategically, he delved deeper into his choice of being alone. His journey as an individual is incredible. Why are we all upset? Because he was a heartthrob. He was a celebrity who was celebrated by all for his music, and by some who could feel the difference. He deliberately chose to be different. The good looking, tall guy who befittingly sang poignant ballads and national songs somehow grew that long, dark beard. Then the cap followed. Then the long robes followed. And the songs changed. The Beloved now was different. For him it was an active choice, a shift from the ridiculous to the sublime, from the profane to the sacred. But somehow – apart from a very tiny minority that enjoys its fair share of hostility in this divided nation – he was never embraced for it. He was always a troublesome figure. He would always blurt out something inappropriate. He would always be questioned. Why was his business a success? Ufff he’s such a misogynist. God, these mullahs are hypocrites. He’s just a commercial sell-out. He has three wives. He’s such a party animal…..And the verbal bashing for some religiously fervent even resulted in literal bashing. We as a nation are deeply dissatisfied. We are increasingly becoming a nation of nitpickers. We are deeply unkind to each other. Life is another matter, we are ruthlessly unforgiving in death. It’s not a matter of a caustic comment. It’s not a matter of a crass dismissal. It’s not a matter of cynicism and wit that we laud as good journalism or regurgitate as drawing-talk. It shows how deeply divisive our biases are. And yet we profess to be rational, logical, intellectual, and – I daresay – liberal. It’s grim irony to see how those who preach tolerance are the most intolerant of us all. A singer turned televangelist who has a beard: obviously he’s a woman-hater, and so has three wives whom he subjugates in his home and so makes clothes for women as a commercial business. What a loss. What a loser. Why oh why did he go to that super brainwasher of a man who sits in the no-man’s land of Raiwind who (oh em gee) doesn’t sport a cap but a turban! Why doesn’t he go back to music? And so he dared not to. And we have not forgiven him. 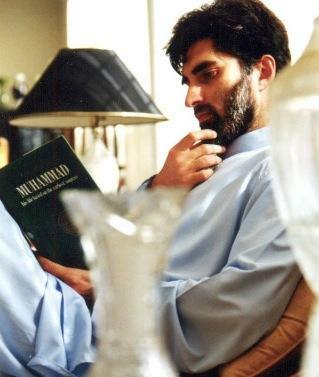 The most common observation I came across was how almost everyone was lamenting over how Junaid Jamshed was an integral part of their childhood. Some even went so far as to say that they would never forget who he was “before”, and would never forgive who he became “after.” As a public figure who was constantly under the litmus of limelight, this was obviously part of the package. Such is the curse of being famous. But if we see a little more closely, it unveils this troubling truth: either, how we whitewash all religious figures (and may the Lord help them if they are religious icons) as demonic and dangerous misogynists using miswaks, or how we elevate all religious figures to the divine status of being infallible, and therefore Prophet-like, completely free of all possible human weakness. What a tug of war. And perhaps no public figure could feel this friction more than Junaid Jamshed. His death has unearthed this friction. As a friend noted, the secular celebrate his songs, the religious celebrate his naats, and both continue to hate each other. I have a major regret that I missed an opportunity to hear this man speak (rather than sing), twice. I too was unsure of his faithfulness, perhaps. I too believed that he’s just a sham who’s taking advantage of his fortunate fame. I too was divided. But only until I rediscovered the singer just like he rediscovered himself. I listen to his naats on repeat while driving. I sing his new songs to my son who knows both Dil, Dil Pakistan and Dil Badal De. I had always taken him and his presence for granted. Even when I was told about the deadly crash, my initial reaction was dismissal: of course he’ll survive. But he didn’t. And it’s haunting to hear someone’s voice talking to you, and you suddenly realize that they’re gone. They’re gone away. And only a meteor shower of memories remain. There was a time when his songs would make me sway. There is a time when his songs still make me sway, but to a different tune. I remember his songs. I remember his nasheeds. I sing them both. I’m sure he did too. And that’s why I am inconsolable about this loss: because in Junaid Jamshed I see my own struggles. I witness the outward and inward tug of war. The choice to change. The attendant backlash. The dismissals. The sticks, the stones, and the words that ever hurt. And then there’s the slippery slope of spiritual strife. The anger. The envy. The arrogance. The ingratitude. The lack of forbearance. The entire catalogue of spiritual ailments that make you a “bad” person when you look like a “good” one. He left a lot behind when he made his choice to rethink his life. And he would stumble. And so, to me, he humanized this lofty claim to be an invincible Muslim. His friends and followers remember him for the goodness he had in him, which was aplenty. His haters and skeptics remember only the bad, or the good that once was and that is why he must be moaned. But a life cannot be celebrated in parts. Life is an uneasy mix. I for one will remember him for selfish reasons alone: how we are fallible and faltering individuals, fumbling on a path of becoming something that we feel to be better. And therefore, right. And judgment is no-one’s business, save One.